On August 13, 1966, China officially launched the “Great Proletarian Cultural Revolution,” a violent political campaign that devastated Chinese society for more than a decade. Parades and a cult of personality surrounding Communist Party Chairman Mao Zedong were a part of China's brutal Cultural Revolution of the 1960s and 1970s. On August 13, 1966, China officially launched the “Great Proletarian Cultural Revolution.” The Cultural Revolution was a massive political campaign designed by Communist Party Chairman Mao Zedong and his wife, Jiang Qing, to strengthen their leadership and discredit their political opponents. The Cultural Revolution is often associated with the Red Guards. 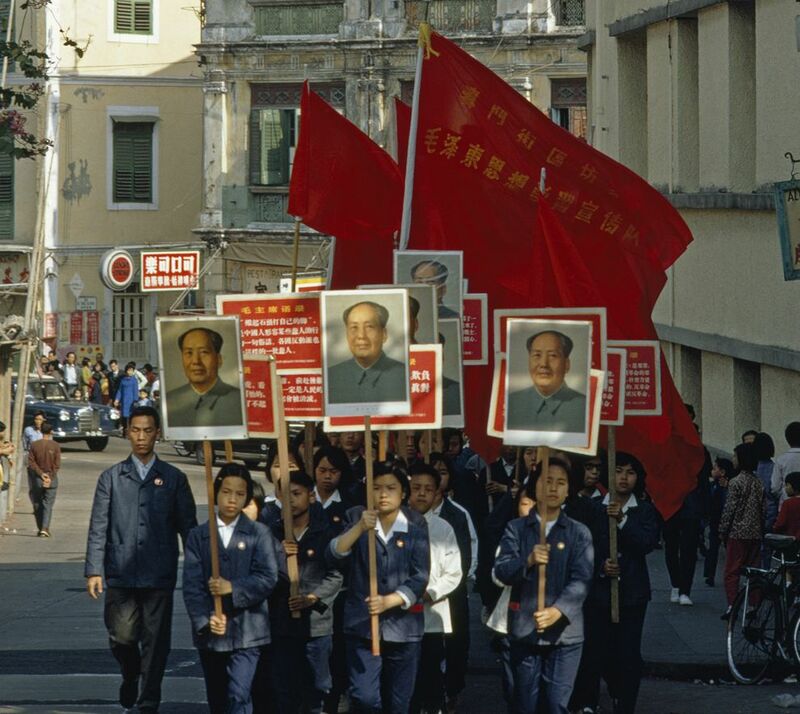 Mao had closed China’s schools as part of the Cultural Revolution, and groups of young people were organized into units (Red Guards) who violently opposed the “Four Olds”: old customs, old culture, old habits, and old ideas. Traditional Chinese names of businesses, streets, and even people were changed; examples of classic Chinese architecture were destroyed; and books were burned. The Red Guards also accused and publicly denounced teachers, elected officials, and even their parents. Mao’s political rivals were imprisoned or killed, and thousands of urban youths were “sent down” to do manual labor in rural areas. activities designed to achieve a social, political, or military goal. (1966-1976) radical social-political movement in China characterized by military rule, terrorism, purges, and restructuring of the educational system. to publicly condemn or blame. done by a person, not a machine. formally or with proper authority. having to do with the lower working class (proletariat).